Tawang Monastery, in the Indian state of Arunachal Pradesh, is the largest monastery in India and second largest in the world after the Potala Palace in Lhasa, Tibet. It is situated in the valley of the Tawang River, near the small town of the same name in the northwestern part of Arunachal Pradesh, in close proximity to the Tibetan and Bhutanese border. 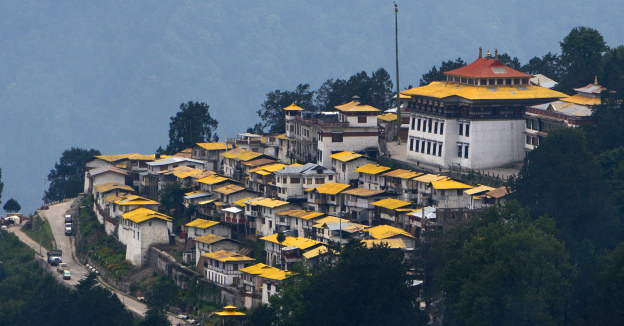 The monastery, built like a large mansion, is triple storied with a large assembly hall, ten other functional structures and with 65 residential quarters for students, Lamas and monks. The monastery has a school and its own water supply facility, and a centre for Buddhist cultural studies. The main temple in the monastery, to the west of the entry gate, is known as the Dukhang ('Du' means "assembly" and 'Khang' means "building"). It was built in 1860-61. 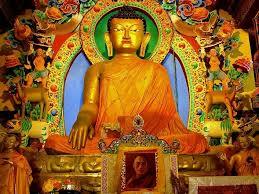 A large image of Buddha of 18 feet (5.5 m) height is deified; it is gilded and decorated, and is in a lotus position. This image is on the northern face of the assembly hall and is installed over a platform and its head extends up to the first floor. Next to the Buddha image there is a silver casket that holds a special thangka of the goddess Sro Devi (Palden Lhamo), which is the guardian deity of the monastery. It is said that it was painted with the blood drawn from the nose of the 5th Dalai Lama, which renders an ethereal "living quality" to the thanka. This thangka image, also known as Dri Devi, was donated to the monastery by the 5th Dalai Lama. "An iconic form of Shiva in Ekamra Kshetra"
Lingaraja Temple is a Hindu temple dedicated to Shiva and is one of the oldest temples in Bhubaneswar, the capital of the East Indian state of Odisha. 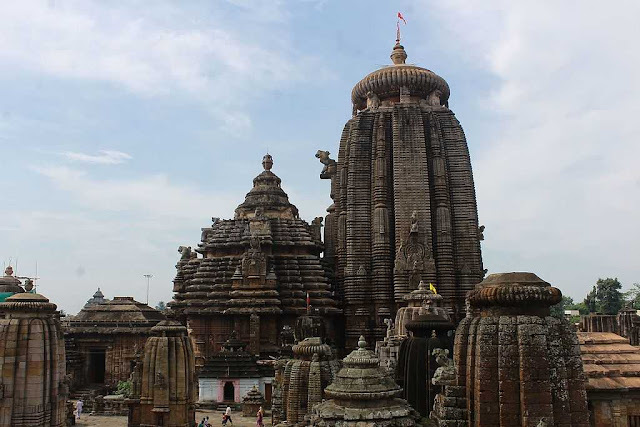 The Lingaraja temple is the largest temple in Bhubaneswar. The central tower of the temple is 180 ft (55 m) tall. The temple represents the quintessence of the Kalinga architecture and culminating the medieval stages of the architectural tradition. The temple is built in the Deula style that has four components namely, vimana (structure containing the sanctum), jagamohana (assembly hall), natamandira (festival hall) and bhoga-mandapa (hall of offerings), each increasing in the height to its predecessor. The temple complex has 50 other shrines and is enclosed by a large compound wall. The best time to visit this temple is mainly during Shivratri.